Solutions: the heart of good service. 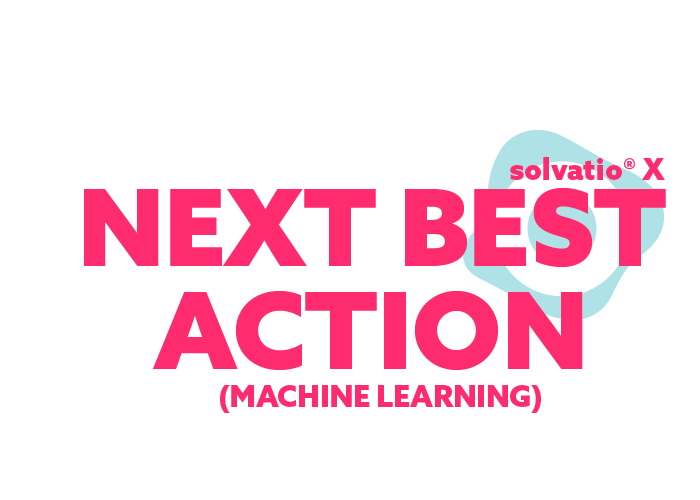 solvatio® X solutions are based on AI in the form of machine learning. Next Best Actions (NBA) are the result of in-depth automated data inspection and analysis and we use this data for the continual improvement of our solutions. 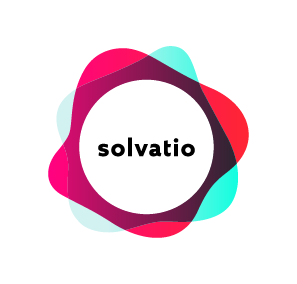 solvatio® X is therefore a learning system, making use of internal and external data, mixing it with crowd sourced information from day-to-day operations as well as from agent activity in order to create suitable follow-up actions. This creates hybrid intelligence, based on analysed data and agent actions, that guarantees maximum quality while minimising required input. solvatio® X machine learning saves time for inhouse agents and customers and reduces overall time spend on technical support. NBA means not just assessing the next suggestion for customer self-service or the services offered by the agent, but also leads to dynamic dialogue management in bot applications based on solvatio® X. The dialogue thus becomes more dynamic and actions are optimised to specifically address the given task. The technical service, especially in telecoms, provides several hundred solutions for a wide range of call drivers. Using historic cases and their solution rating, NBA constitutes the best action for providing efficient resolutions to customer problems. My name is Forest. Random Forest. For solution classification, solvatio® X uses Random Forest. In addition to fast training based on enormous data volumes from historic cases, Random Forest especially enables fast data evaluation based on parallel processing. It also supports regression and thereby allows the modulation of interdependencies for seemingly non-interdependent variables. In such a complex environment, involving the diagnosis of technical systems and environments with a variety of diverse components, this capacity of Random Forest makes it a valuable AI partner in solvatio ® X. With proven time savings of over 36% per call, achieved by offering the most valuable solution, NBA becomes an indispensable partner for your agents. Random Forest? What is it and how does it work? Learn more about the flexible, fast-learning algorithm behind NBA in solvatio® X. The on-premises architecture of solvatio® X provides machine learning supported by SPARK, a cluster computing framework that provides appropriate algorithms based on a machine learning library. Faster solutions lead to faster decisions, thereby saving time and money. Data-based machine learning demonstrably improves solution quality, without manual input and with maximum reliability. A Random Forest algorithm on a Spark cluster, or a Kafka Big Data Highway – or the option to use external ML algorithms – everything is possible in solvatio® X. 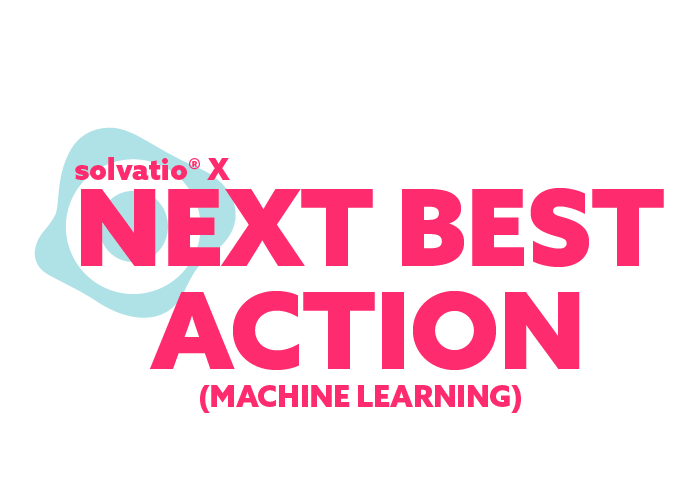 Next to Random Forest algorithm, solvatio® X is also equipped with a machine learning API that enables any external AI processes and services to be integrated into solvatio® X’s diagnostic and solution-finding process and then to be used alone or in conjunction with another. In this way, solvatio® X is not just able to work with internal data but also enables the involvement of external Big Data Lakes and their ML outcomes. It therefore also enables independent solution evaluation based on existing data. The ML MAPPER available in solvatio® X STUDIO provides a simple solution for mapping externally derived outcomes onto corresponding automation processes. It guarantees a short time to market and reduced workload when dealing with ML in solvatio® X. The Kafka-based big data interface provides all solvatio® X outcomes in real time via the solvatio® X EVENT INTERFACE and thereby enables format-secure storage, for example in a Hadoop Data Lake. Values and labels from external ML environments, such as Big Data Lakes, can be processed and assigned using the ML MAPPER in solvatio® X STUDIO. This makes it easy to use externally derived ML outcomes. Machine Learning in the form of NBA adds value on several levels. Instead of designing and implementing rather static processes and forcing them onto customers and inhouse agents, ML enables a results-oriented service process while keeping the reported problem in constant focus. The inhouse agent wastes less time following rigid processes but gets immediate access to dynamic solutions. A bot dialogue does not depend on lineary dialogue processing but reacts dynamically to the user’s data and statements. In SELF SERVICE dynamic solutions can be executed automatically instead of having to send process-driven data requests into a triage system. NBA means less time spent on static processes and offer maximum return on time invested, with complete quality control guaranteed via the second opinion mode. It also enables free dynamic decision-making for inhouse agents and users. NBA (machine learning) is one of the elementary features within the flexible architecture of solvatio® X. Learn more about the flexible and needs-focussed properties of solvatio® X.